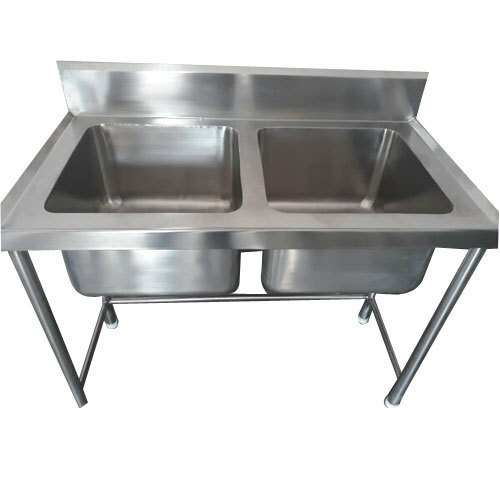 Matching up with the requirements of our clients, we are involved in offering Stainless Steel Kitchen Sink. Established in the year 2017 at Bengaluru, Karnataka, we “Jai Hind Commercial Kitchen Equipments” are Sole Proprietorship (Individual) based firm, engaged as the manufacturer of Commercial Kitchen Equipment, Bakery Equipment, Planetary Mixer, Rotary Oven, Kitchen Cabinet and Kitchen Chimney. With the help of our skilled workforce and well-developed facility, we offer quality bound products to our clients.